It's not just a cleaning. It is the cornerstone of your healthy, sparkling smile! At Medina Family Dentistry, we believe that a beautiful smile must first be a healthy smile. 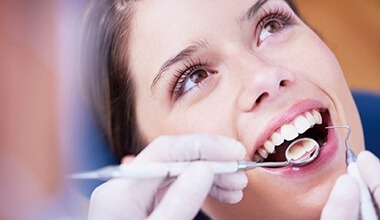 Your dental exams and cleanings include a very thorough assessment of your dental health, including checking for decay, periodontal disease, bite problems, and oral cancer screening. We carefully work with you to address your personal concerns and to teach you effective brushing and flossing techniques. 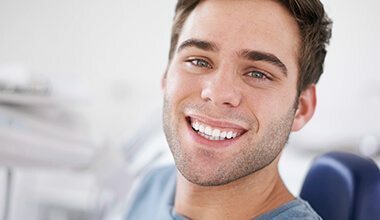 Our proactive recall program helps keep you on track maintaining that beautiful smile! Remember: An ounce of prevention is worth a pound of cure! For optimal dental health, you know you need to brush and floss your teeth at least twice every day at home. 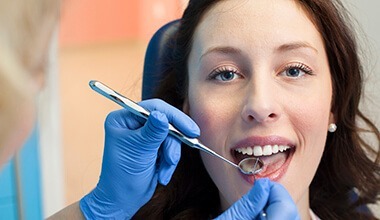 So it should come as no surprise that dental cleanings are the cornerstone of dental health at your dentist’s office. In keeping with the recommendation of the American Dental Association, Dr. Milewski would like to see you bi-annually for checkups that include cleanings. We are a family dentistry practice, and that means we offer dental care for patients of all ages including kids. Dr Milewski has been honored to see four generations of families in his practice! Yes, this means we welcome children as patients in our office. We encourage parents to bring their child in for their first visit sometime after their first tooth comes in but before their first birthday. At this appointment, Dr Milewski can show you how best to clean your baby’s teeth, talk about the importance of fluoridation, and answer any questions or concerns you may have. Usually, toddlers are seen for their first visit for a professional cleaning around three years of age. The back teeth, molars and premolars, have deep grooves on the chewing surfaces. These grooves can be so deep and narrow that it can be impossible to clean down in the grooves. Bacteria, however, have no problem getting down to the full depths of these grooves and causing decay that can be hard to detect until it is quite advanced. Dental sealants now offer a means of successfully protecting molar and premolar chewing surfaces from decay. 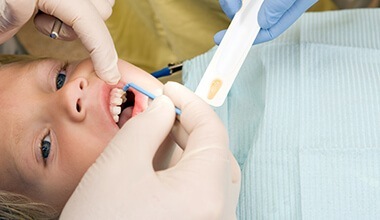 Recognized by the American Dental Association as a key means of cavity prevention, dental sealants are thin resin films that can be applied to your at-risk tooth surfaces. If you experience chronic or stress related nighttime teeth grinding or clenching, you may be suffering from a common condition called bruxism. While it may seem like a challenge to kick an unconscious habit, we have comfortable, effective solution. We can custom craft guards that place a barrier between your rows of teeth, protecting them from potential wear or damage. You can speak, smile, breathe, and even drink while wearing your guards. Simply place them before you go to sleep each night to protect your smile. If you play any sport where your smile is at risk for impact with other players, hard surfaces, or sports equipment, it’s essential that you wear a guard during any practice or match. 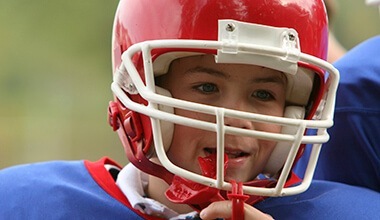 For patients under the age of 25, sports related injuries are the leading causes of tooth loss. 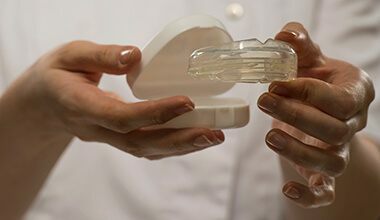 Store bought sportsguards offer the minimum of necessary protection, but the custom crafted appliances we create offer improved comfort and safety for patients, which improves the consistency of patient wear. Even if you never smoke a cigarette or chew tobacco, you may still be at risk for oral cancer. This common and deadly disease affects thousands of adults each year, and as much as 30% of those diagnosed don’t engage in any high risk behaviors associated with the disease. That’s why we complete screenings for every patient during six month checkups. Our goal is to partner with patients to ensure they are diagnosed and treated in the earliest stages. Fluoride is one of the essential building blocks of strong, healthy bones. 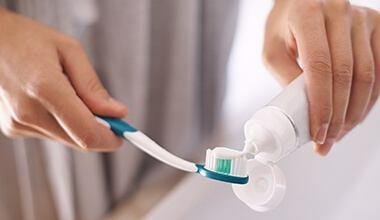 Kids need to absorb adequate amounts of fluoride as their teeth develop, and after teeth erupt, topical fluoride continues to strengthen the teeth. Daily use of fluoridated toothpastes is adequate to keep many patients’ smiles healthy. However, professional topical fluoride treatments are also available during six month checkups for young patients still developing their oral hygiene routines and anyone who is prone to frequent tooth decay. Some patients are not adequately served with store bought toothpastes, mouthwashes, or other oral hygiene products. Despite their best at-home dental care efforts, they may still experience chronic tooth decay or gum disease. For these patients, we can boost at-home hygiene with the use of prescription strength fluoride varnishes, toothpastes, and oral rinses. Don’t hesitate to ask one of our hygienists or Dr. Milewski about prescription products for at-home care during your next dental checkup. 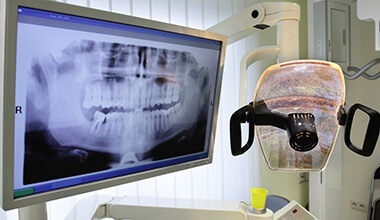 We use digital x-rays as a diagnostic tool. They allow us to have a better understanding of the underlying and interior structures of teeth. We can examine these high definition x-ray scans immediately on chairside computer monitors. There’s no need to spend time physically developing lower quality images as we did in the past. Instead, we simply capture the scans and transfer them easily to our own monitors, instantly deliver them to dental labs, and share them with specialists.